The PG1, the first 6 flights towards your full pilot rating or PG2. The PG1 is great if you are still unsure if you want to do a PG2 course. It allows you to achieve high flights and get a feel for the sport. If you have limited time, maybe you are on holiday in Queenstown, or you can only get a few days off work then the PG1 could be for you. Lasting approximately 3 days, the first day of the course is the same as the intro day. Then our instructional team will take you to our high launch at 3800ft for 6 high flights usually over 2 days, where you complete the syllabus below. You will experience a sense of real achievement. We also provide instructional tandem flights as part of your PG1 flights to enhance your learning and to help you to understand your goals at no extra cost. Following completion of PG1, students may choose to continue with their PG2 license. The PG1 enables you to join the New Zealand Hang Gliding and Paragliding Association as a student pilot. Demonstrate the 5-point pre-flight check. Demonstrate canopy establishment (inflation) - check, correct and take-off or cancel take-off. Have completed at least 6 satisfactory paragliding flights on at least 2 separate days, showing consistently good take-offs, landings, and directional control. Show competence as a launch assistant. Kept an accurate up to date log book. Satisfactorily complete the PG1 written exam. Take the jump to 'real' flying. Price: $420 after the Intro Day Course. This course will teach you to become an independent pilot who is competent, relaxed and therefore safe, so you will enjoy all that paragliding has to offer for years to come. 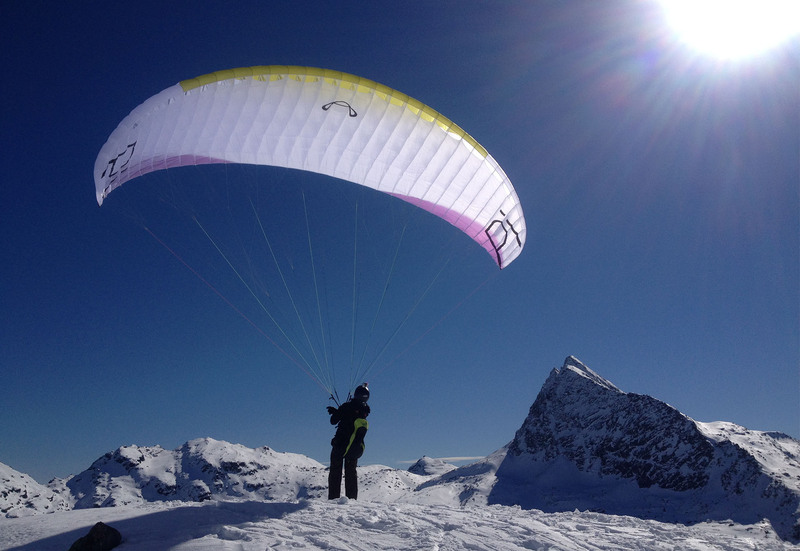 Infinity Paragliding offers a number of Advanced Courses for people who have completed their PG2 Full Pilot License and are looking to further improve their skills in paragliding.